The Yamaha CG162 has improved acoustic performance due to its new matt finish bridge, smaller bridgeplate, better saddle fit and GC bracing. The new CG guitars also include a matt finish, 3 piece, GC shape neck with 02.mm lower action. The new CG is simple but elegant with a smaller headstock and rosette design. 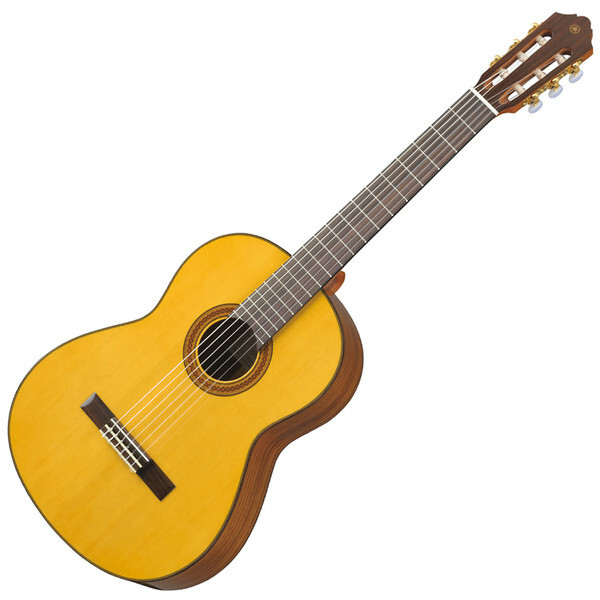 Drawing upon the vast knowledge, know-how and techniques of Yamaha's master craftsmen, Yamah have developed the CG series to deliver the best tone and performance from a classical guitar. With slightly thinner back and sides and Yamaha's trade mark thin finish this instrument delivers better sound response. To increase playability the necks are slightly thinned and also made slightly lighter in weight. The results are instruments that deliver a tone with exceptional quality and a classical guitar built from the ground up for durability and performance.